How To LOVE Science...Use A Holiday! Valentine's Day is just two days from now. This post is either too late or just on time. It is harder and harder these days to fit some science into your busy schedules...oh I know. Even as I teach science everyday...getting our kiddos engaged and focused on tier three words is often very difficult. One great way to add a little holiday science into your day is by attaching it to a holiday and bringing in all of your components...reading, writing, math, STEM, and science! 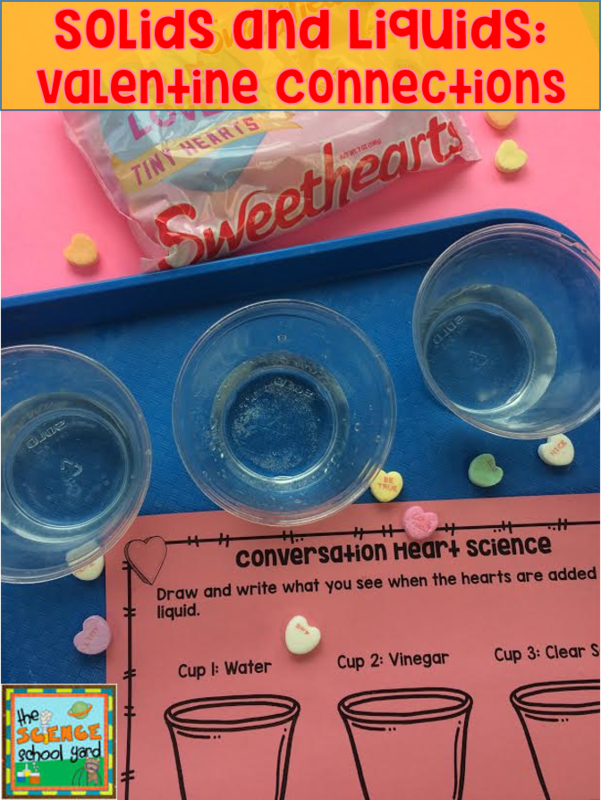 I am all set up for next week's second graders as we get ready to see what happens to candy hearts...our solid...as they get added to a liquid...water, vinegar, and soda! What a great way to add some fun as we are in the middle of our FOSS Solids and Liquids unit! To add to the fun I created a math connection, STEM activity, and writing! I use the writing sheet on our iPads by taking a picture, next saving the image, then air dropping to my kiddos! These activities will be used with my Kindergarten, and First graders, too! Find the Valentine Bundle HERE! Another easy and fun way add integrate so many subjects into this special day...STEM stations! My third graders are learning about water...we are making helicopters with compliments on them. They must figure out how to land the helicopter on the landing pad and not in the water. We know what paper does when it gets wet...we tested it! Here is what I have set up...easy supplies...great connections! 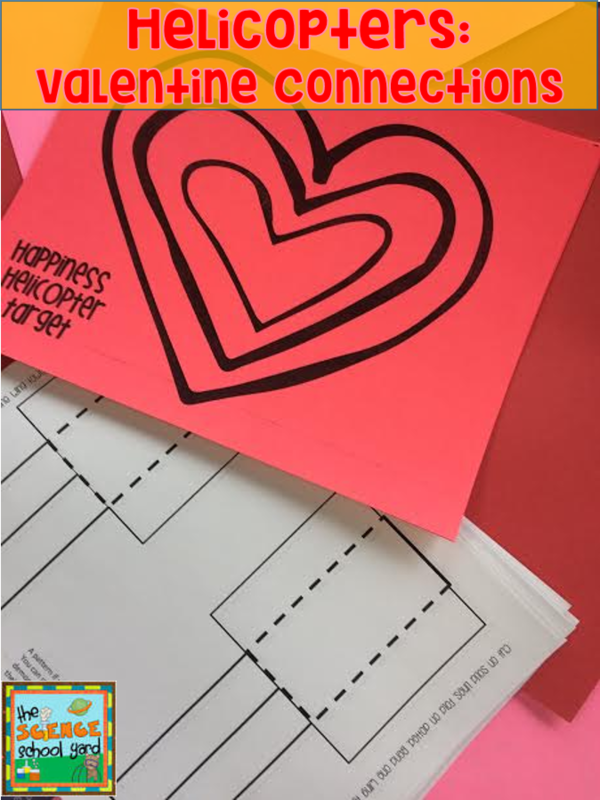 STEM Valentine Stations HERE...easy and fun! Ruthanne says, "These activities will make for an easy yet highly engaging Valentine's party. Thanks!" Stacey says, "These are going to be our valentine's day party stations this year! Can't wait!" Not sure what to do with a small amount of time? 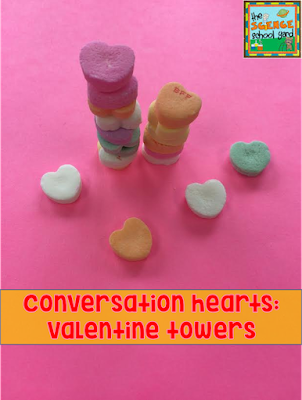 Make it a challenge...Use conversation hearts to see how tall they can build a tower, house, monument...then measure the height or even just count up the levels. Share on the board for an easy math connection! 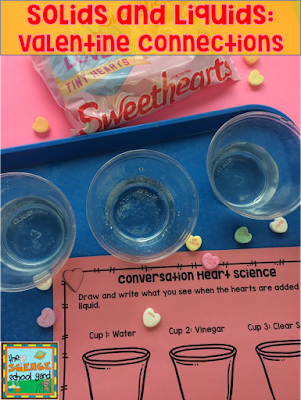 I LOVE science, but I will share a funny story...last week I was prepping the students for Valentine's day fun! I told a group of first graders that I LOVE science so we were going to celebrate next week. He went on to say he loves SILENCE, too! I agreed whole hardheartedly! Here is a freebie to show my LOVE! 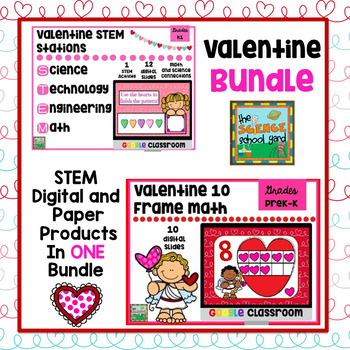 8 different Valentine's for you and your students...VALENTINE FREEBIE LINK HERE! So cool! Valentine's Day is over but I am going to do this any way! What fun...the conversation and observation is so important!! !